Merle was the son of William Franklin and Nellie Lorriane (Wilson) Kennedy, born August 26, 1900 in Gravity (Taylor County), Iowa. 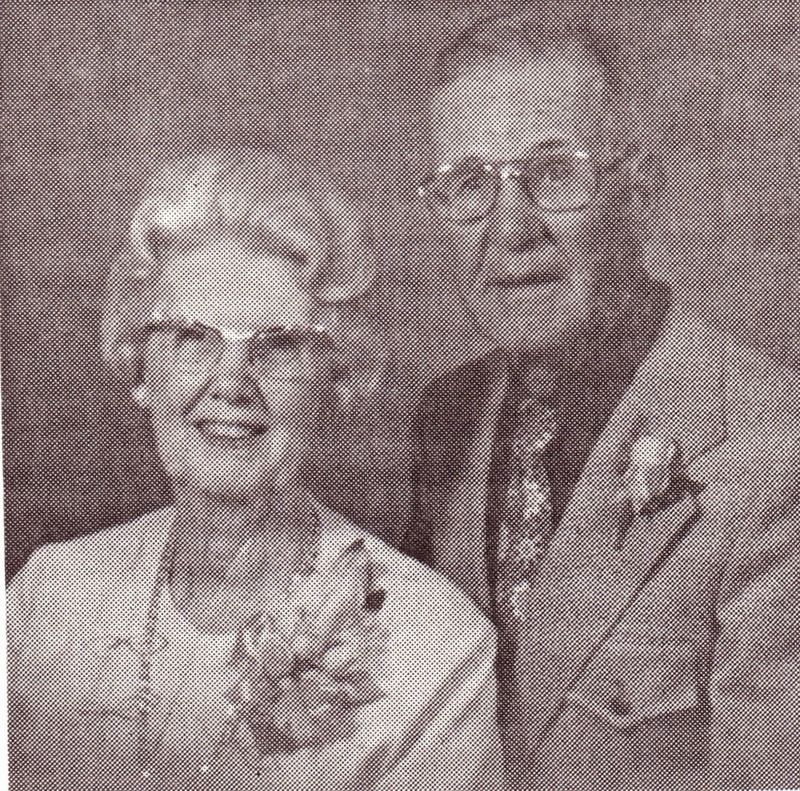 He married Letha Jane Heskett in 1930, the daughter of Thomas E. and Carrie (Hayes) Heskett, who was born August 17, 1908. At the age of eight years the Kennedy family moved to Wewela, South Dakota. 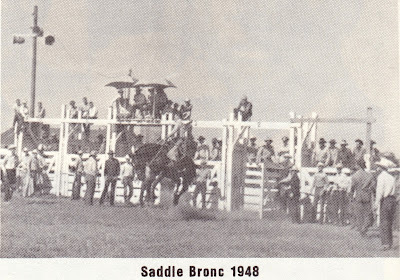 Merle’s father sold the farm in Iowa, and along with Mike McBean, took a contract to help build, by teams of horses and mules, the Northwestern Railroad out of Gregory, South Dakota to Colome, South Dakota. A railroad car of both horses and mules was bought and shipped to South Dakota. Merle and Dave road the emigrant car and their mother and the other children rode the “coupling” car to the end of the line at Gregory. Things did not work out well there, everybody went broke building the railroad, and thus the family was stranded in South Dakota. Merle’s father then went into the freighting business. Winters were real severe there, that first winter the snow was 36 inches deep. It was during this time that Merle got a job with Mrs. Bismarck Ranous, who was Chief Sitting Bull’s niece. She was the first Indian registered nurse in that area; Merle was hired to herd her cows and to drive her team of horses for her wherever she would have to make house calls on the sick or go out and gather the various herbs she needed to make her medicines. 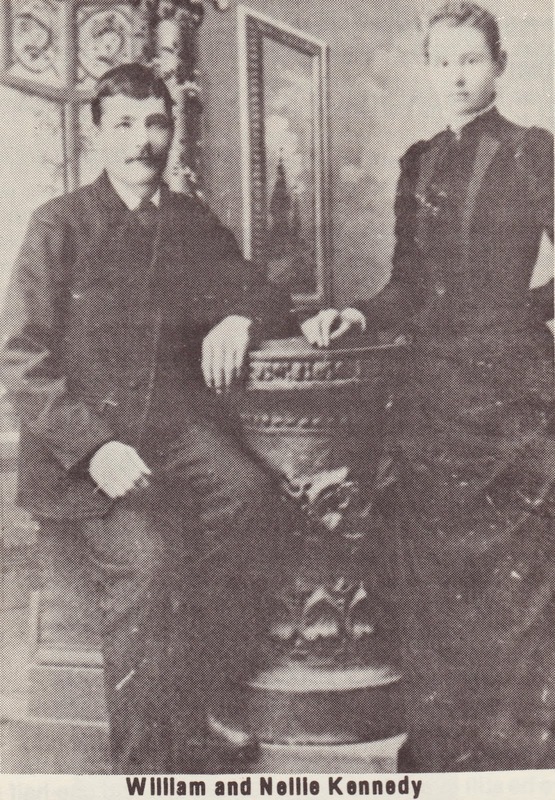 In 1910, the family moved to Sutherland from South Dakota, at the time Charles Burklund was building his store. Merle’s father did carpenter work in and around Sutherland. 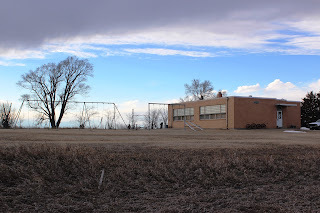 Merle attended the Sutherland School three to four years, which was held in the old wooden school which sat behind the current school building. Merle’s first job in Sutherland was at the age of 10 years, herding approximately 50 head of milk cows for the “towns” people of Sutherland for $1.00 a head, per month. The family then moved to Keith County, and his father worked building the headgates for the K and L Ditch Company. They had 40 acres 11 miles northwest of Paxton on the North Platte River valley. It was at this time that Merle went to work for Bill Sadle, the father of Byron Sadle. Bill had some of the finest horses and mules in the area and Merle was hired to care for the horses. Merle’s parents insisted on him getting an education, so he told Bill he would have to find someone to help with the horses and that was when Bill decided he could not afford to let Merle go to school. Mary Lawler was going to teach the local school so Bill told her that he would give her her board if she would teach Merle at night. This was done. Merle never missed work, nor did he go to school except at night. When it came time for him to take the examination, he rode horseback to Ogallala and passed the exams with flying colors. Merle worked at various ranch and farm jobs, and in 1917 started farming with his brother, Dave, and did so until 1928. In 1929 he was farming on his own on the river north of Sutherland. In 1934 he acquired employment building the Sutherland Reservoir, working for Babbitt and Ward. In approximately 1943 he hired out to Keith and Lincoln County Ditch Company for whom he worked 20 years running a dragline, retiring in 1963. At the age of 90 years (in 1991), Merle is still raising his own beef and hogs and is very active in the community. Merle is a fun-loving, good-hearted, friendly man. He states that he has seen a lot of changes during his 90 years of life here on earth. Letha Jane Heskett Kennedy was born on the family homestead located on the Birdwood Table. There were two children in her family, an older sister, Lois Heskett Brewer and herself. When Letha was approximately six years old, the family moved into Sutherland “proper”, (approximately 1915), to the home she and Merle currently reside in today. 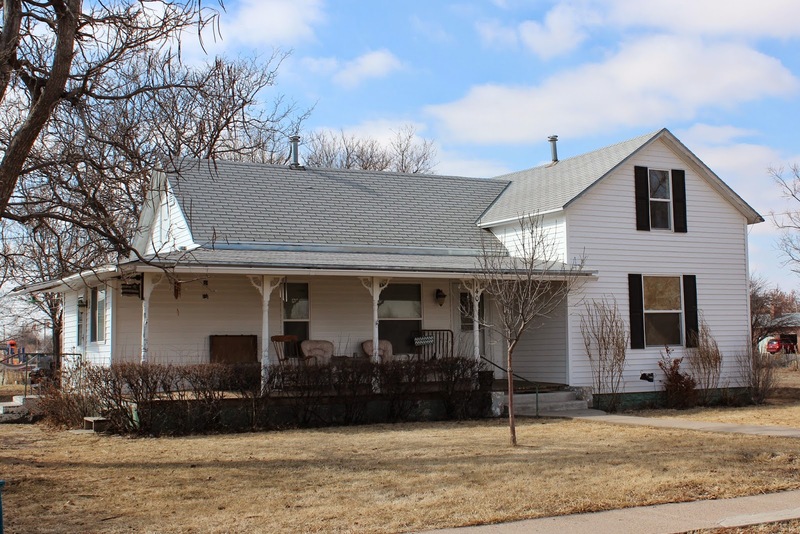 The quaint and cozy Kennedy home in Sutherland as it looks today. She was educated in Sutherland and graduated from the Sutherland High School in 1927. Letha furthered her education in Omaha, and returned to Sutherland to start a hair styling salon. Merle and Letha became the parents of two children: Thomas Lee, born April 20, 1932 and Carolyn Ann Kennedy Grady, born April 4, 1934. Merle and Letha are an enjoyable couple, both have made many, many friends over the years and enjoy visits. People are always welcomed with open arms into their home. Letha passed away November 13, 1991. Merle died November 16, 1992.